While cats may be easier than dogs in some ways, they still take work and you will need to plan accordingly. 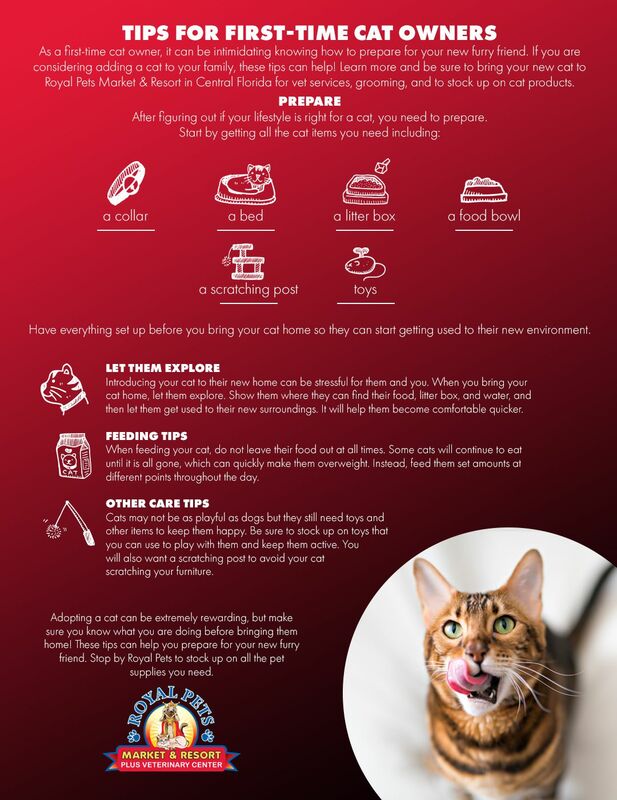 Our team at Royal Pets Market & Resort in Florida wants to help you prepare for becoming a first-time cat owner. In this blog, we will give you tips that can help make this new chapter in your life simpler! Read on to learn how to prepare and what to consider before adopting a cat. Before you start picking out cat names or searching the animal shelters for a new kitten, be sure to consider your lifestyle and whether or not a cat will work with that lifestyle. If you are constantly traveling, a cat may not be the best choice, maybe a fish is more up your ally. If you have small children, you may want to wait until they get a little older before getting a cat. If you are renting, you will have to talk to your landlord about getting a cat or find a place that allows you to have a cat. Cats may not need constant attention like puppies do, but they still need interaction with their owner in order to be social and healthy. They need exercise and affection. If you are able to give your new cat the love and care they need, then you can start picking out names. If you are not sure a cat and your lifestyle will work together, you can always get a few new plants. Once you decide a cat is for you, start researching the breeds to find the right personality to fit your lifestyle. Before you go out and adopt your new furry friend, be sure to prepare and get all the essentials you need. This includes a bed, litterbox, food bowl, water bowl, toys, a scratching post, a collar, and any other small items you may need for your kitty. Royal Pets carries a ton of cat products that can help you get started and our pet experts will help you get everything you need to prepare for the addition to your family. You can substitute a bed with a cat carrier. This will allow you to safely and comfortably transport your cat to their new home and remove the door at home so they can use it as a bed. Some cats are picky, if you go to a shelter to get your new cat, ask the employees which food and litter they use and whether the cat you are bringing home liked it. If they were indifferent, you can change to a different type of litter or food, but it may take them a while to get used to the new stuff you picked out. Bringing your new cat home is stressful for them. They are likely to be nervous since they do not know where they are. Before you bring your cat home, be sure to set up their area so it is ready when they get there. You can choose where you want the little box, bed, and food, but make sure you find a spot before bringing them home. Many people use the basement or laundry room as the cat’s space, but you can choose wherever works best for you. Once you bring your cat home, show them where these items are so that they know right away. Then let them slowly get used to the home and explore. You can keep doors shut during this first introduction to make the area smaller and keep your cat contained in certain rooms of the house. If you have kids, tell them to leave the cat alone while it explores and begins to feel comfortable with its surroundings. Toys can help them feel more comfortable after they are done exploring. Some cats only eat when they are hungry, meaning that you can leave a bowl full of food out all the time and allow them to eat when they want. However, not all cats are like this. If there is a bowl of food left out, some cats will continue eating until it is gone, which will lead to an obese cat. Be sure to only feed them a set amount. You can talk to your cat’s vet or our pet experts to discuss the proper amount to feed your furry friend. All cats scratch, there is no avoiding it. But if you want to keep your furniture in good shape, you will need to get a scratching post. Get one that will be tall enough once your kitten is full grown and make sure they know that this is what they use to scratch, not the couch. A sturdy scratching post will keep your cat away from your furniture better than a flimsy one, so be sure to keep that in mind as you shop for a scratching post. Just like dogs, playing with your cat is important. This is how they get their physical activity. Play with your cat daily to keep them active and happy. While a laser pointer is a fun and easy way to play with your cat, there are so many other toys that could be the better choice. Feathery balls on the end of a string can be a fun way to keep your cat entertained and you can use this type of toy while sitting on the couch. Playing with your cat can help them be more comfortable around people as well. These are only a few of the many tips that can help you become the best first-time cat owner! In our next blog, we will go over some additional tips and things to keep in mind as you introduce your cat to their new home. Be sure to stop by one of our four Royal Pets for all of your essential cat items and stop by our veterinary center to get you new cat their checkup! We offer vet services, wellness plans, pet items, grooming, and pet boarding. 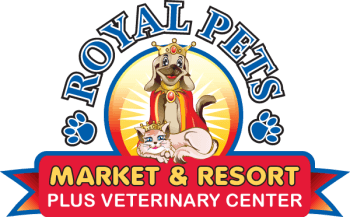 No matter what your pet needs may be, our team at Royal Pets can help. Be sure to contact us today to learn more or stop by to get any cat questions answered! 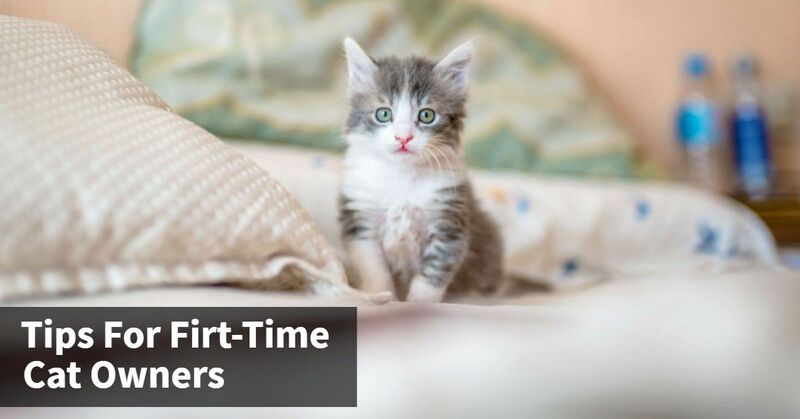 We hope these tips helped you learn more about becoming a first-time cat owner.